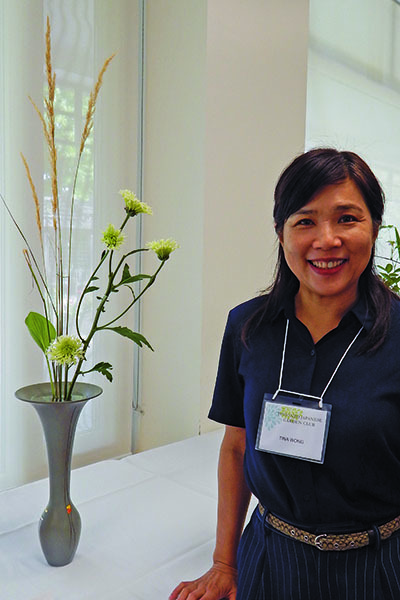 “Ikebana means experiencing life in the flowers,” says Tina Wong, president of Ikebana International, Toronto chapter. TORONTO – Thoughtful ikebana displays and 75-year-old bonsai trees were part of the Toronto Japanese Garden Club’s 38th annual garden show on August 14th. 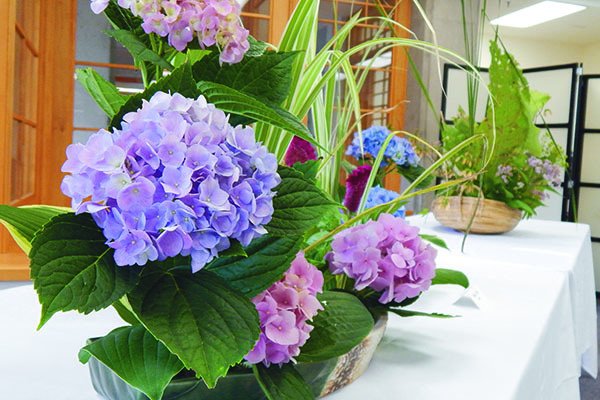 At Momiji Health Care Society, Nature’s Beauty Show displayed the best of ikebana and bonsai that the city has to offer. There were demonstrations on bonsai and ikebana as well as awards for potted plants and basket arrangements. Each curve of a branch is deliberate and carefully planned on a bonsai tree, the result of years of tweaking, twisting and pruning on 75-year-old trees that are less than two feet tall. 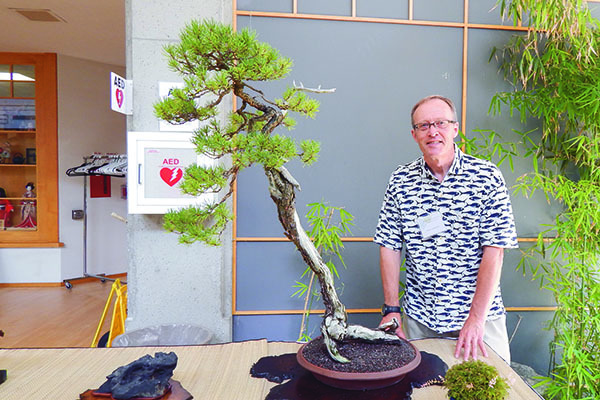 “There are the product of several years of work and when you start with a tree, you have to think five to seven years down the line,” says Jeff Shortt of Toronto Bonsai Society. Take a moment to experience the flowers and bonsai you may have missed at the garden show. 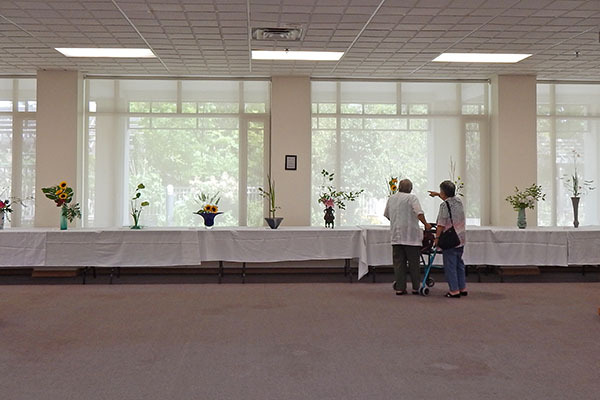 Awards, demonstrations and exhibits at the 38th annual garden show at Momiji Health Care Society on August 14th. Ikebana is about finding peace and tranquility in the flowers, says Wong, who has been practicing ikebana for 10 years. 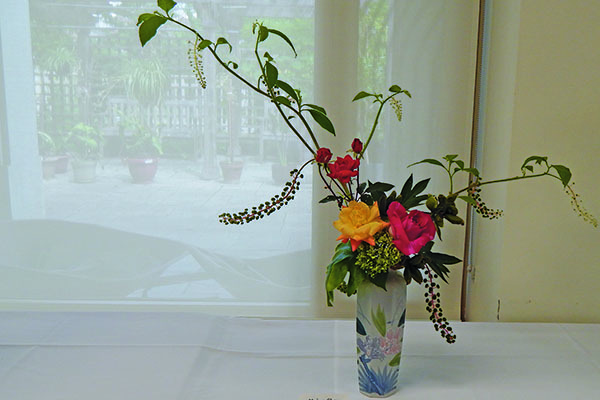 Ikebana is the art of Japanese flower arrangement. 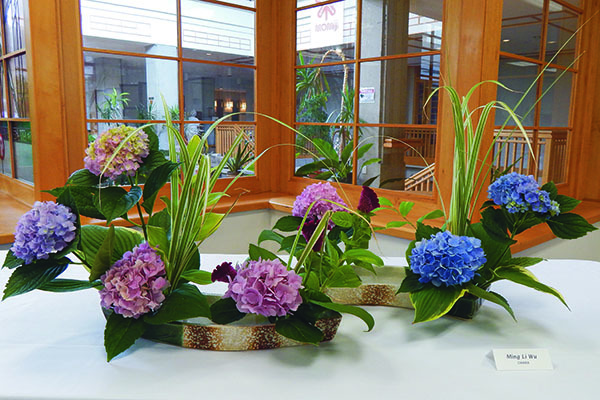 As opposed to Western flower arrangements which appreciate symmetry and full blooms, ikebana focuses on evoking feelings and harmonizing nature and humanity. 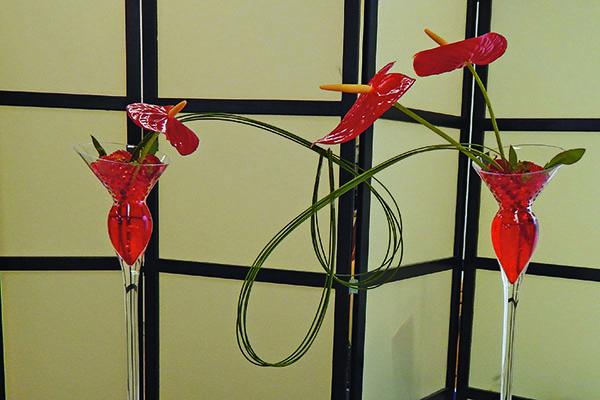 "Enjoying life, ikebana means experiencing life in flowers," says Wong. 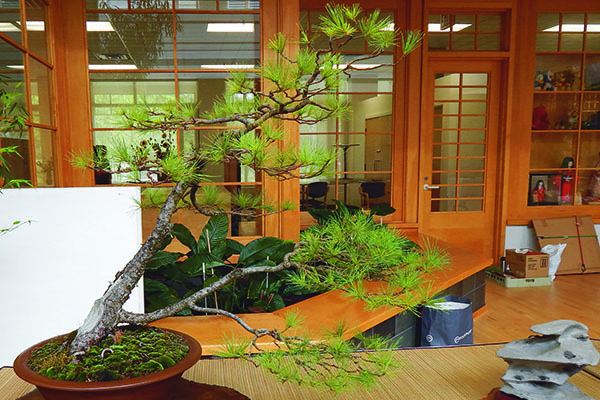 Ikebana International was founded in 1956, and its headquarters are in Tokyo, Japan. 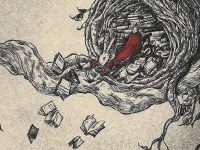 It has spread over 60 countries with 165 different chapters and about 8,500 members. Ikebana is meant to bring a sense of peace, in the look, display and even smell of the flowers, says Wong. "There's only a fraction of fanatics who can do this - you have to water it everyday - it's an obsession. That's how I describe it to my friends," says Johnson. He stands next to his Jack Pine which is 75 years old and Johnson has been cultivating for the last 15 years. One of the greatest misconceptions people have about bonsai trees is that they are a specific type of tree, says Johnson. "There is no such thing as a bonsai tree - these trees are trees you see out in the wild," he says. Above is a 30-year-old Chinese Dogwood. 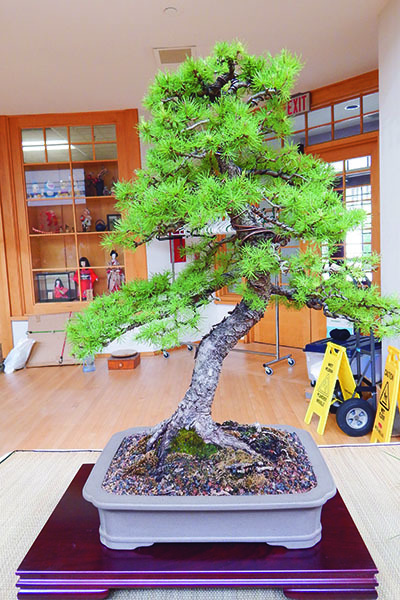 Bonsai trees are the product of several years of work and planning, says Johnson. 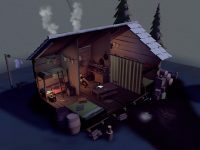 "It takes a lot of intense work - it's an art form, trying to make it look beautiful. That's the part we appreciate the most." 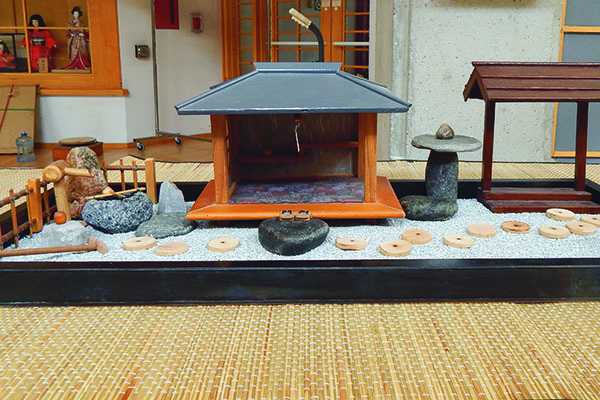 Like the ikebana and bonsai, this miniature garden is carefully arranged and thoughtfully planned. 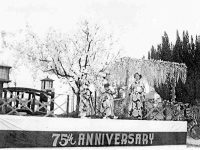 When and where is the Japanese Garden Club annual show this year?